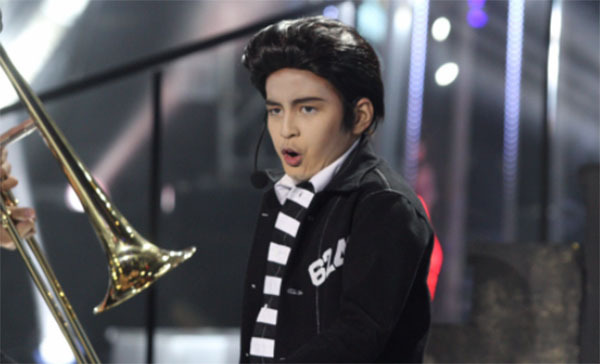 Sam Shoaf sings ‘Jailhouse Rock’ by Elvis Presley on Your Face Sounds Familiar Kids Week 3 episode on Sunday, January 22, 2017. “You are committed to your character, from beginning to end,” said Ogie Alcasid. “Entertainment value wise, using the whole stage, I appreciate that,” said Sharon Cuneta. “Your Elvis impression was quite impressive. I am confident in you, that as the week goes by, you will keep getting better and better,” said Gary Valenciano. What can you say about Awra Briguela’s performance tonight? Share your comments on the discussion box below.